IDF may be preparing for a ground invasion with the planned call-up of 16,000 reservists. 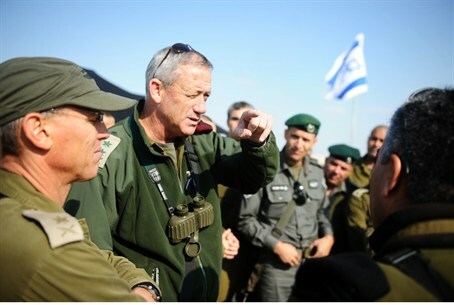 IDF Chief of Staff Benny Gantz has approved the call-up of 16,000 reserves soldiers. Some of the call-up orders have already been issued, and many reservists are on their way to their units. The decision to call up reservists is part of ongoing planning for a possible ground invasion of Gaza. Terrorists in the area have continued to fire rockets on cities in southern Israel even as the IAF takes out hundreds of launch sites and other terror targets. Rocket fire grew less frequent on Thursday night, but resumed Friday morning with attacks on Ashdod, Ofakim and elsewhere.